New Log Home Shows Added to the Schedule! Home|Blog|Uncategorized|New Log Home Shows Added to the Schedule! We’ve expanded our log home show schedule through April to offer folks plenty of chances to meet with local and knowledgeable Katahdin dealers and representatives. As promised we’ve expanded our exhibition schedule to include many more locations! Please note that schedules are subject to change; check our Events page for updates! Feb 14-16 Vermont Log Home & Timber Frame Show Essex Junct., Vt.
Feb 14-16 Nashville Log Home and Timber Frame Show Nashville, Tenn.
Mar 7-9 Maine Log Home & Timber Frame Show Augusta, Me. Mar 14-16 Marlborough Log & Timber Home Show Marlborough, Mass. 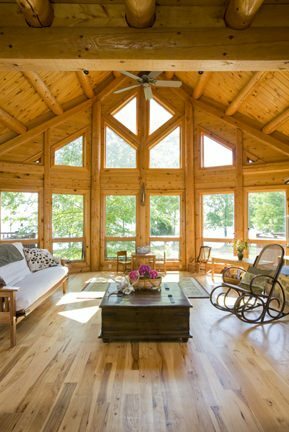 Mar 21-28 Indianapolis Log Home & Timber Frame Show Indianapolis, Ind. Mar 28-30 Johnson’s Allentown Log Home &Timber Frame Show Allentown, Pa.
Apr 25-27 Central Florida Log Home & Timber Frame Show Lakeland Fla.
Apr 26-27 New England Log Home & Timber Frame Show Durham, N.H.